The report titled “Indonesia Used Two Wheelers (Motorcycles and Scooters) Market Outlook to 2023 – by Stock Piece and Customized, by Region, by Manufacturer of Two Wheeler (Honda, Yamaha, Suzuki, Kawasaki, and others), by Kilometers Driven, by Source of Sales (Friends & Family and Dealers) and by Make” provides a comprehensive analysis of used two-wheelers services in Indonesia. The report also covers the overall competitive landscape; government role and regulations, SWOT Analysis, growth restraints, drivers, trends and developments. 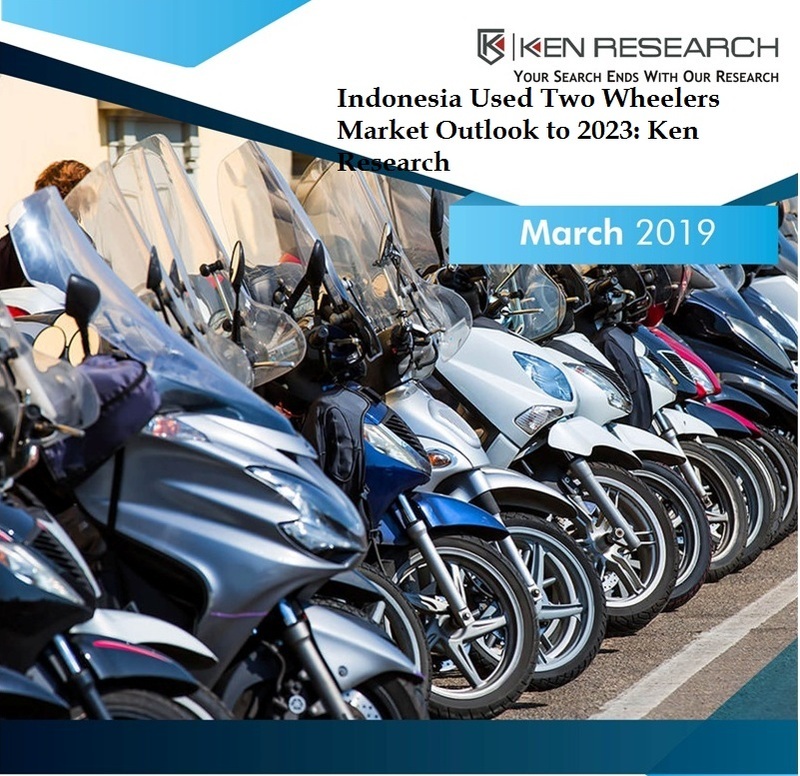 The report concludes with market projections and analyst recommendations highlighting the major opportunities and cautions for Indonesia used two-wheelers market. Indonesia two wheelers industry has evolved over the years in terms of vehicular & production technology and a total number of two-wheelers being manufactured and sold. Two wheelers in Indonesia act as one of the primary alternatives to walking, riding a bicycle, and public transport systems. Rising fuel prices, high local traffic congestion, ease of usage, and cheaper prices in comparison with other personal vehicles are some of the primary growth drivers for two-wheelers in Indonesia. Commuters across all age daily rely on motorized vehicles, especially two-wheelers; owing to the escalating population and rapid increase in traffic congestion, thereby making two-wheelers as the most appropriate and convenient mode of transportation in urban areas. In terms of value, Indonesia used two-wheelers sales volume increased at a positive double digit CAGR during the period 2012-2018. Demand exists for two scooter and motorcycles below 150cc generally, from the young male population, especially in metro regions. In Indonesia, used scooters and motorcycles have an almost equal share in the used two-wheelers market. However, scooters are witnessing rising popularity due to the increase in youth and female urban commuters, who prefer the ease of use and cheaper prices that scooters are associated with. As a result, the market share of scooters in this market has been increasing in recent times. In 2018, the stock piece segment contributed a major share in the sale of used two-wheelers in Indonesia and consisted of standard vehicles manufactured by companies. During the same year, the total numbers of individuals who are bike enthusiasts and are able to afford customizations constituted a very small proportion of buyers in the market for customized bikes. The capital city of DKI Jakarta had the largest share in terms of sales volume in the used two-wheelers market as this region has a high percentage of living population and population of daily commuters. Being the most populous province of Indonesia, West Java observed as the second highest region for used two-wheelers sales. The regions such as Banten, Yogyakarta, Central Java, and others formed the remaining share in the market as they are associated with low levels of population and income. The Indonesian used two-wheeler market is largely dominated by Honda, which is also one of the global leaders. Honda contributed the major share in the sales of used two-wheelers in 2018. The company caters to a wide consumer base and has segmented its market on the basis of income and age group. Yamaha is the second most dominant manufacturer of two-wheeled motor vehicles in the country. The dominant share of the market is held by the sale of used two-wheelers that have been driven in the range of 10,000 – 40,000 kilometers. Whereas, Two wheelers that have been driven for 0-10,000 kilometers occupied the second highest share in the market, as most people preferred to purchase a used two-wheeler that has been driven as less as possible. In 2018, Indonesia used the two-wheeler market has been majorly dominated by the sales of used Two-wheelers through friends and family. In Indonesia, two-wheelers manufactured in the year 2018 contributed a mere share in terms of volume in overall used two-wheelers sales as less number of people sell of a brand new vehicle. However, a number of people have sold their older vehicles due to depreciation value incurred on the vehicles, leading to 2017 manufactured two wheelers having a double-digit market share. Two wheelers manufactured in 2016, 2015, and 2014 contributed a major share in terms of volume as people try to sell off their old vehicles to get a better return before they incur too much value depreciation. Indonesian used two-wheelers market was observed to be highly fragmented with the presence of a large number of local dealers, small mechanics, and individual sellers. There are 750+ dealers which have an online presence on the online aggregator platforms in the year 2018. Major online players in Indonesia used two-wheeler market includes OLX, Mobil123, and Carmudi which come under the category of classifieds. Major Competing factors in the online used two-wheeler market includes Price, Number of Listings, Marketing, and Advertising and offering of Certification Services to used two wheeler vehicles. It is anticipated that the used two-wheeler market in the country will continue to grow in the coming years owing to used two-wheelers being cheaper than new ones and can be purchased quickly without any hassles due to any strict regulation prevailing in Indonesia for changing the registration of the vehicle ownership. This is further coupled with Indonesia’s low-income levels and high traffic congestion. Projections for the future suggest that the overall market for used two-wheelers in Indonesia is likely to showcase a strong growth at a positive single digit CAGR during the forecast period 2018-2023E.